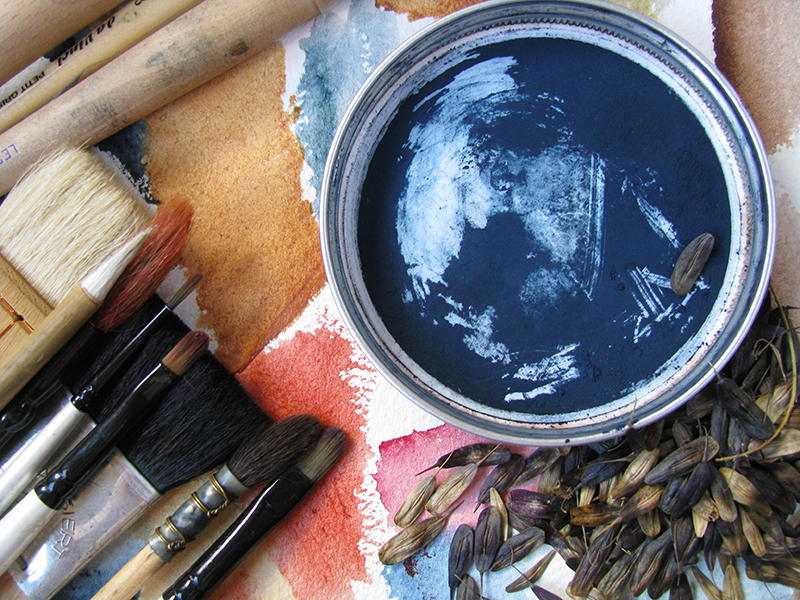 Organic, rare and sustainably produced watercolours: this is a new vision in the world of fine art paints. 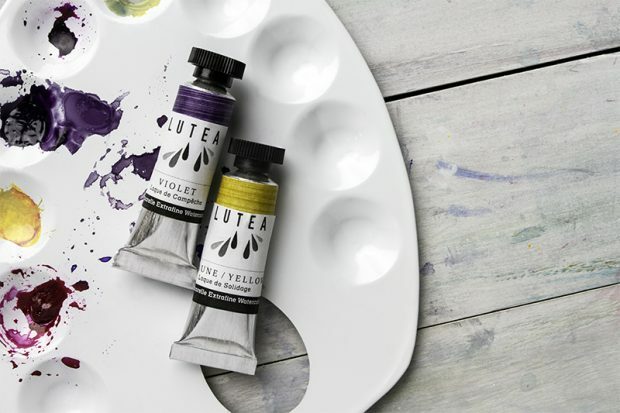 Made using the finest pigments from natural raw materials, the Lutea Extra Fine Plant-Based Watercolour range is as unique as it is desirable. Available in 12 colours in 9ml tubes, visionary Belgian brand Lutea offers an amazing opportunity to rediscover rare and beautiful organic colours made from noble plant materials from around the world. 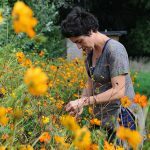 “Colour has been part of our heritage and our economy for many centuries”, says Anne-Sylvie Godeau, Founder of Lutea, who is pioneering what could one day become an organic paint revolution. With eyes firmly set on creating alternatives to traditional, non-natural paints, Lutea’s hallmark is the revival and celebration of precious materials and colours, which have little by little disappeared since the establishment of the industrial era. 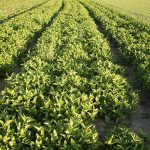 Since the artificial synthesis of alizarin (a red pigment present in the madder root) in 1869 by German chemists, plant cultures for pigments became largely extinguished by the turn of the last century. The Lutea range offers vibrant watercolours, which achieve superb lightfastness (rated Good to Very Good (5-6) as certified by French laboratory Green’ing). From Madder to Indigo, these watercolours offer a unique opportunity to rediscover natural colours which have spanned the history of art. 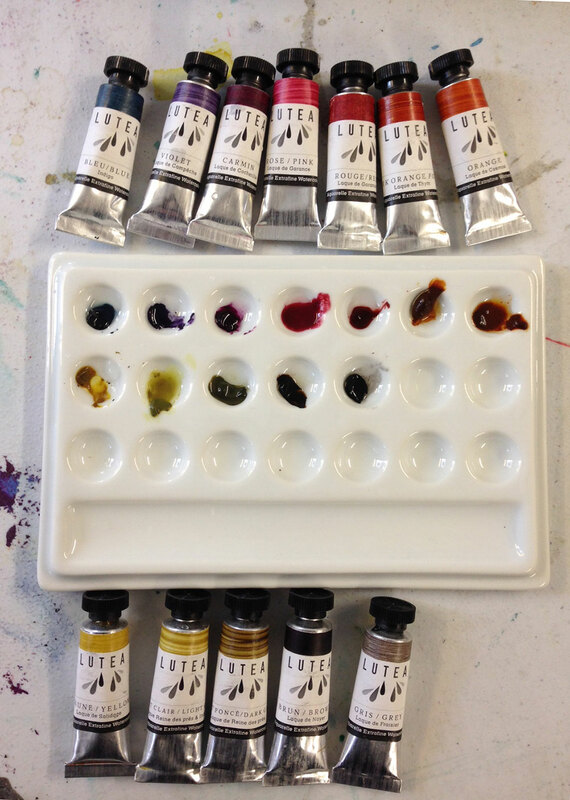 Before being filled into a 9ml tube by hand, the Lutea paints go through a lengthy adventure. 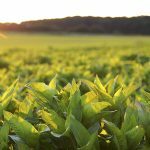 The pigments in the Lutea range have been chosen for their high quality dyes and lightfastness, and are the result of extensive research and development into organic colours. After the pigments have been extracted from the plants under the care and expertise of artisan Anne-Sylvie Godeau, the grounded pigments are then meticulously incorporated with the highest quality binding agents (gum arabic, glycerine and honey), guided by Isabelle Roelof’s research. 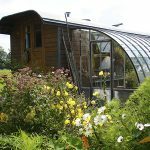 The full range of 12 colours includes natural raw materials sourced from cultivated plants, gleaned plants, recycled plants, international plants, and one insect, grown in parts of the world such as Iran, Canada and Lutea’s native Belgium. 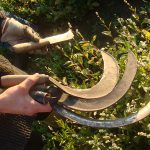 Artisanal, sustainable production is a touchstone of Lutea. 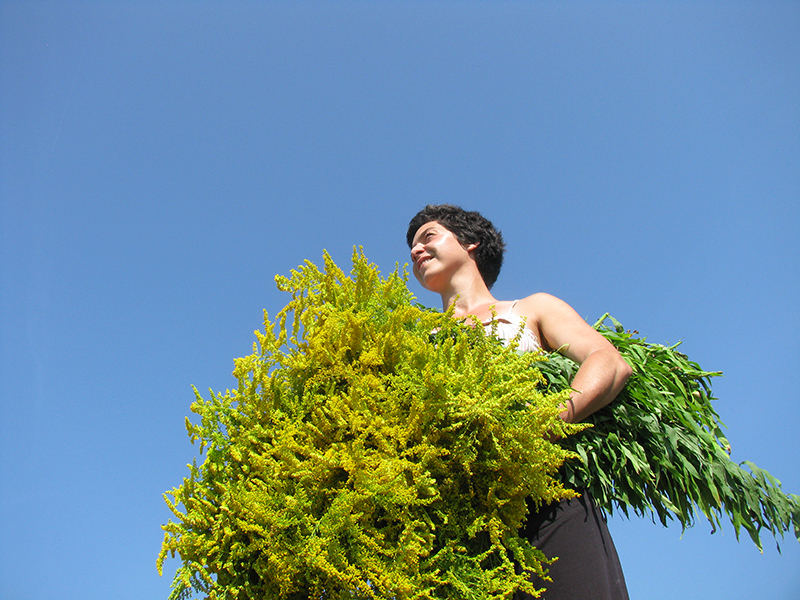 It’s also about innovation: using extraction techniques in order to celebrate new plants whose pigment family can achieve great quality paints. 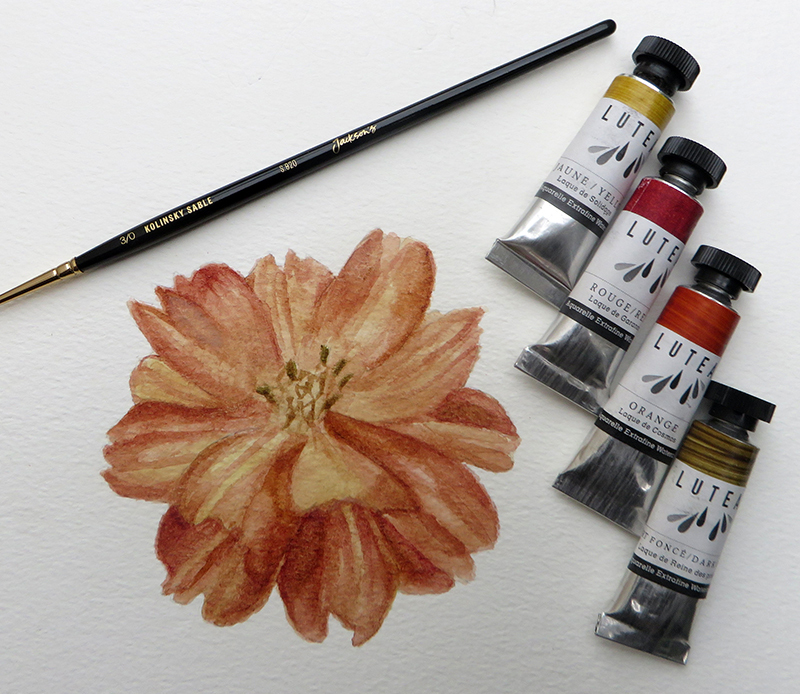 While more expensive than most watercolours, Lutea’s price tag reflects the organic origin of the materials used to create these sophisticated and totally unique watercolours, as well as the rigorous, hands-on process required to obtain the pigments. 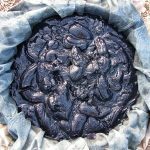 This paste is the result of Indigo Polygonum tinctoria being filtered. 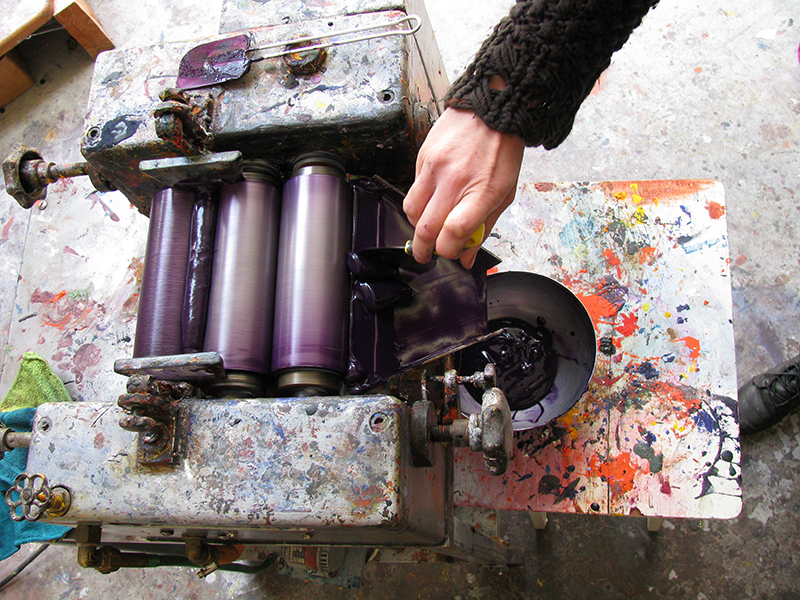 It will then be dried and grinded in order to obtain the finest pigment. 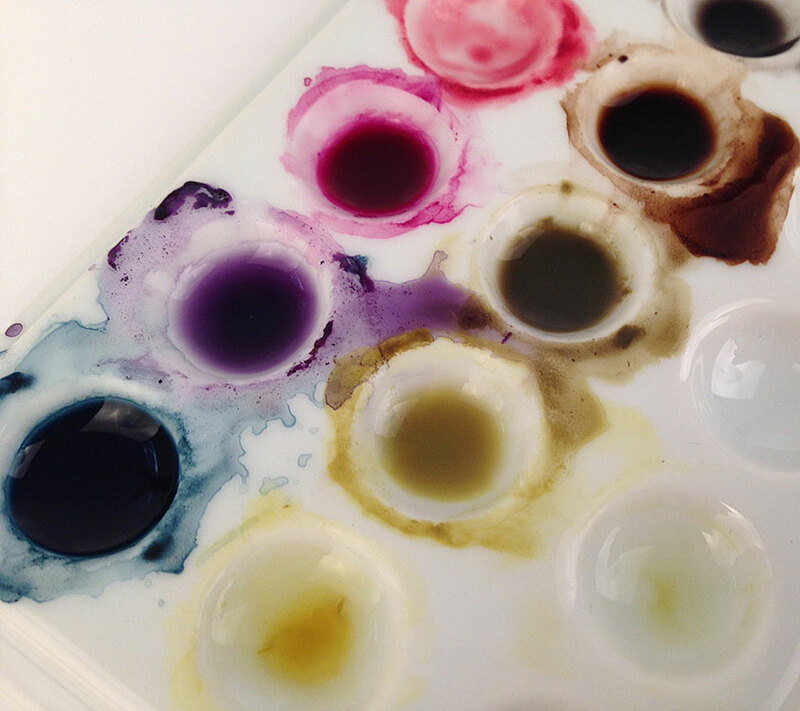 The 12 unique colours offer the possibility to create mixtures which cannot be achieved with synthetic colours. For those looking to achieve a significant pigment spread, we recommend adding ox gall to your water when painting. 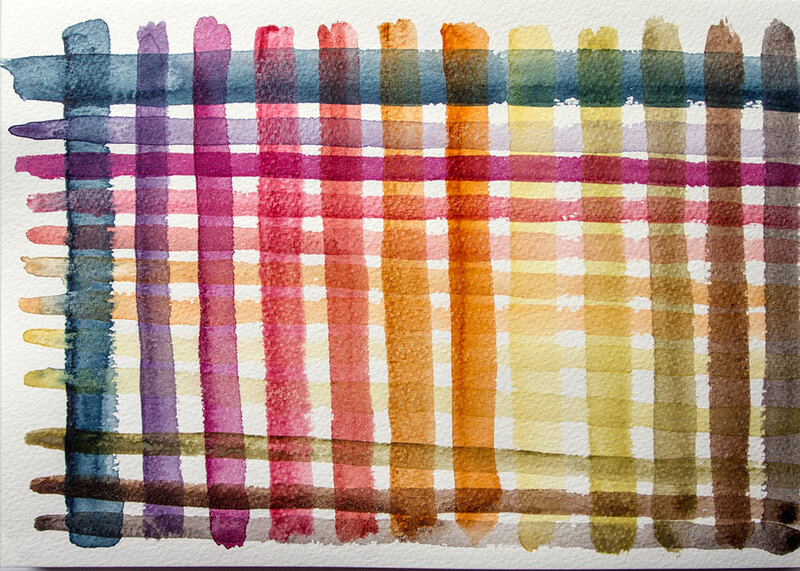 These watercolour paints are compatible with synthetic and mineral watercolours. We recommend storing Lutea : Extra Fine Plant-Based Watercolours at a temperature below 25° Celsius, as these organic and living watercolours are delicate and must be kept away from heat sources with tubes properly closed after usage. “I decided on using a limited palette to challenge the depth and tonal qualities of the colours, using Dark Green, Yellow, Red and Orange. As one of the main unique points to the colours is that they are from organic and natural sources, I thought it might be interesting to paint whatever it is that the pigments are made from. The orange pigment is made from Cosmos Sulphureus, a plant native to Mexico and Central America and so I thought this would be a good starting point to test the colours out. On first squeezing the colours out into the palette, I noticed how dense the pigment was. The pigment washes really well, a little goes a long way. I am used to working with thick, opaque watercolours and also using them quite dry, so this was a bit of a change as the pigments are quite transparent. They blended really easily with each other, they did dry fairly quickly and when rewetted they granulated slightly and were not as easy to mix together. I found the colour dries to quite a matt finish and loses a little bit of its vibrancy – this however is fairly normal with some watercolours. I mixed the Lutea Watercolours with a Winsor & Newton Opaque White, they blended together really well and I was able to stretch the tonal qualities of the pigments further. The Lutea : Extra Fine Plant-Based Watercolours range is available in 12 colours in 9ml tubes. 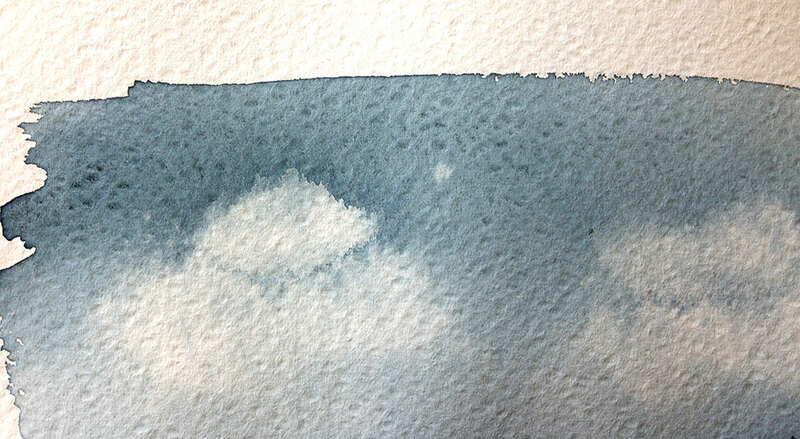 Testing was done on Arches Aquarelle Paper and Bockingford paper in the rough texture. The 12-colour range is a bit limited, with a good selection of warm colours but just one blue which is grayish. The greens are both brownish. 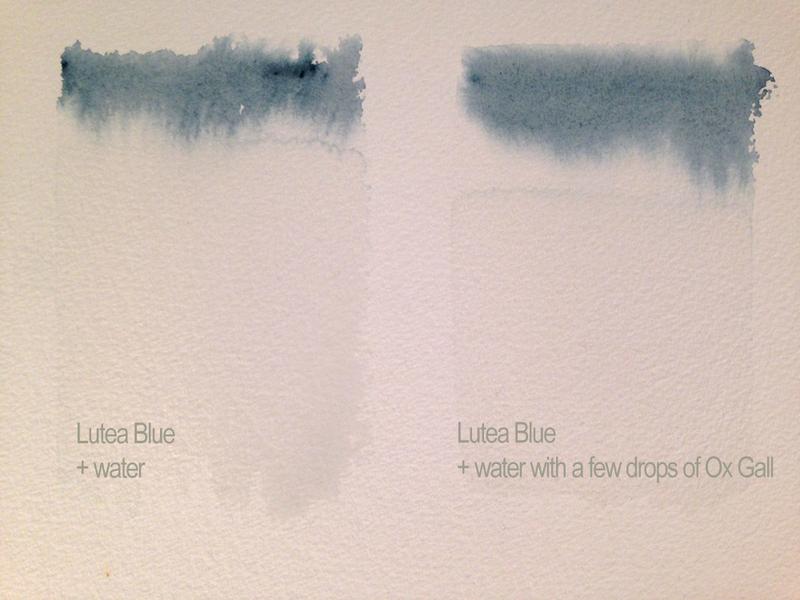 Lutea watercolours mix easily with water for smooth, even colour on your brush. Left is the 12 colours wet. Right is 20 minutes later, after drying. As expected because they are all plant-based, there is no granulation. The colours layer very well, most colours don’t lift much after they are dry, the blue does a bit. 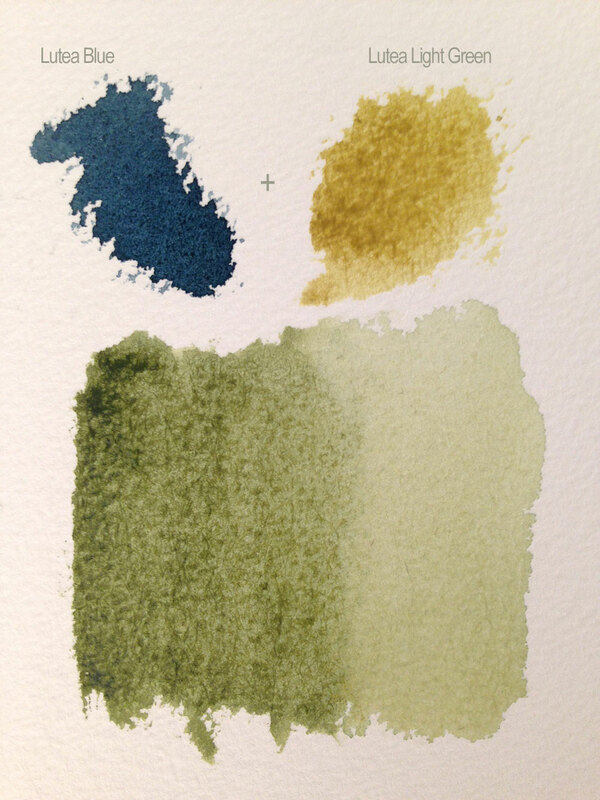 Lutea Blue was applied in a graded wash. Then when it was dry two strengths of Light Green were applied over the top. 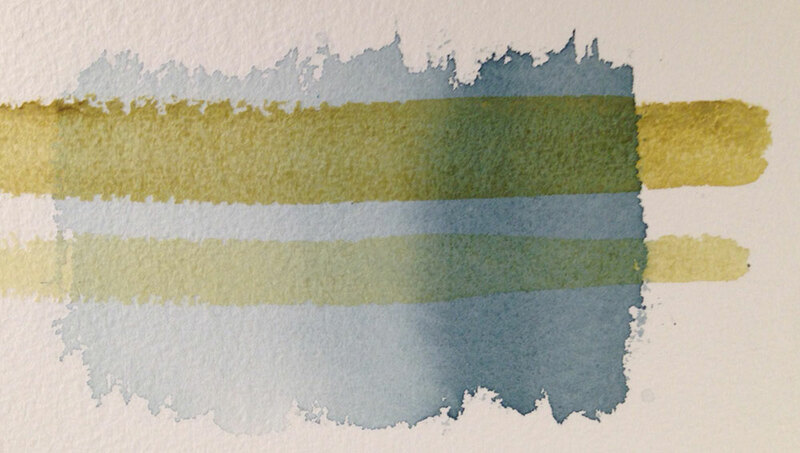 You can mix a lovely brighter sap green using blue and light green. 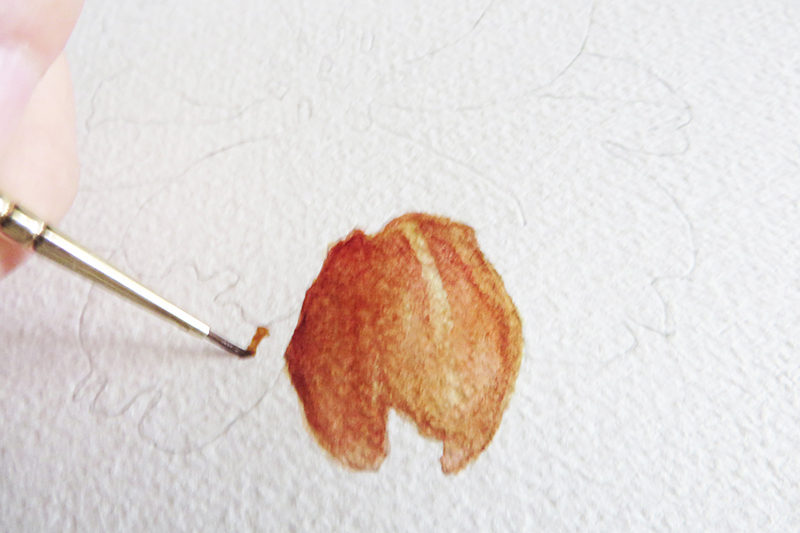 Lutea paint flows well as it is but it flows even better if you add a few drops of ox gall to your water- a watercolour wash will go further and there will be fewer hard edges. 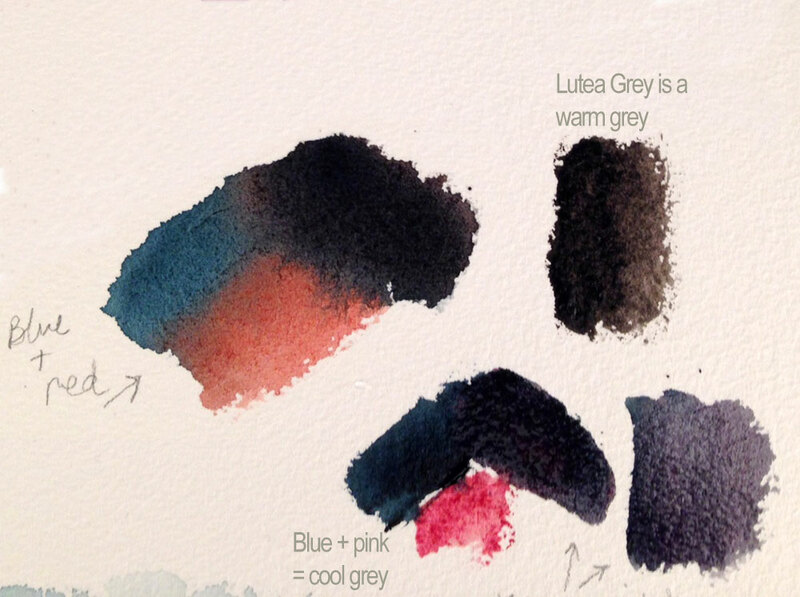 Lutea grey is a warm grey. You can mix a cool grey with rose pink and blue. The rose pink is beautiful but not very strong. 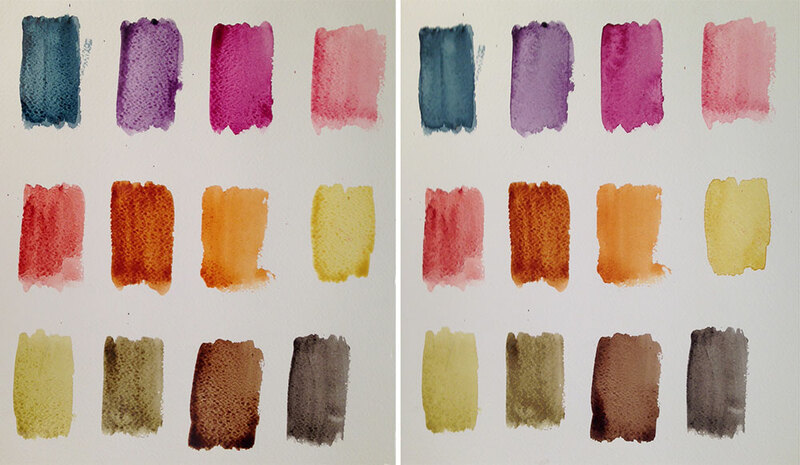 You can mix a whole range of gorgeous pinks, reds and violets with the Lutea colours. Clouds lifted nicely out of the blue while it was wet. Discover the full range of Lutea : Extra Fine Plant-Based Watercolour here. Plant based? No, that is not true: they use honey as a binding agent, so animals products are used for this. 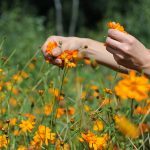 Is it really necessary to steal a product from bees which bees make for themselves not for humans? Really? Maybe to draw beautifully detailed pictures of bees? Hi, Thanks very much for your message. 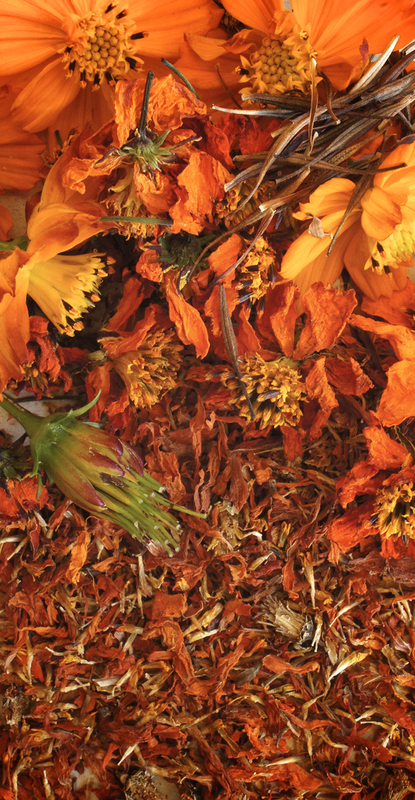 The Lutea Watercolours are indeed plant-based, as stated in the article and product description – the pigments in the watercolours are extracted from plants, such as Cosmos Sulphureus, Madder, Logwood, for example. However, please note that these paints are not vegan: the ingredients in the watercolours which are not vegan are honey (one of the binding agents) and Cochineal (an insect which is used to extract pigment for carmine colour). I hope this information helps. Oh pipe down. It says plant based, not vegan! Hi Harry, many thanks for your message. The Lutea Watercolour range has a great lightfastness and is rated Good to Very Good (5-6) as certified by French laboratory Green’ing. Thanks for your message and interest. 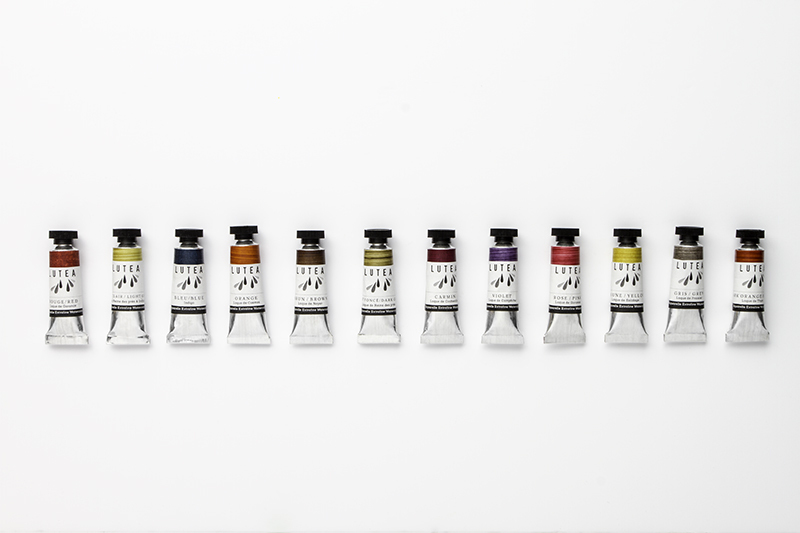 The Lutea Watercolours are available in 12 colours as 9 ml tubes, each colour has a different price to reflect the process involved with the extraction of the pigments, for example. The price range of the watercolours is between £15 – £20 (please note there is 10% off until midnight tonight (18/07/2016). Regarding delivery, the shipping costs are calculated depending on the number of items in your order & your location (when placing an order, the shipping cost will automatically be calculated for you when you enter your address/country). Hope this information helps! is it possible to create purple by mixing primary colors? This is a limited range of colours and there aren’t really primaries. You could get a kind of purple with one of the two cool reds and the only blue. Or you could use the violet. Thanks, I purchased six of the colors from your store. chance of your producing a slightly warmer blue as well? We would see no reason why you would be allergic to them and as they are watercolours it shouldn’t affect your asthma, however, you know best what you’re allergic to so I’d check the ingredients for anything that would effect you.